Payoya goat's milk cheese and sheep from the Grazalema natural park of the Payoyo brand. 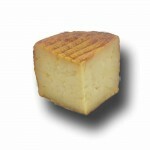 It is a whole milk cheese with a minimum maturity of more than 100 days. It is a cheese with a slightly strong flavor. 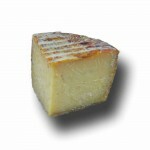 Its texture reminds of old manchego cheeses. It also has a certain very pleasant hazelnut flavor. You can buy this cheese in wedge format of 425 grams. approximate. 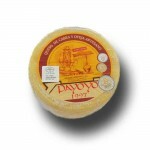 The Payoyo cheese makers produce cheese of exceptional quality. 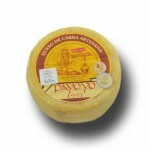 This cheese combines the milk of the Payoya goat with sheep's milk from the wildlife parks of the Cadiz Mountain. With a long history of winning prizes, this cheese maker, along with other regional artisanal cheese makers, leads in producing quality cheese products. Don't hesitate to try these exquisite products.